Sponsored by Goza | Honnold, L.L.C. Welcome to the USDrugAlert.com portal! We have put together the most recent drug alerts posted by the FDA and other regulatory agencies for easy access and referral. Our aim has always been to bring you an in-depth picture of the global medical drug and device regulatory environment and to provide the consumer legal options. Each year millions of patients rely on medical devices for everything from hip and knee replacement to birth control and smoking cessation. While most of these devices are safe and effective, some have caused patients serious injury or death from side effects not disclosed by manufacturers. The Journal of the American Medical Association has warned that more than 100,000 deaths and as many as 2 million injuries each year are caused by the side effects and complications of prescription drugs. While a vast majority are safe and effective, some have caused patients serious injury or death from side effects not disclosed by manufacturers. Most prescription and over-the-counter drugs and medications have some type of common side effects. Some drugs cause dangerous side effects. If a drug has numerous problems, the FDA can add warnings to the drug’s label, including its stringent black-box warning. This safety communication updates FDA’s 2010 Initial Communication. The update provides information on recently published research and postmarket studies for these devices. There are no new safety concerns related to this update. Summary of Problem and Scope: The FDA has received reports of adverse events and product problems associated with IVC filters. Types of reports include device migration, filter fracture, embolization (movement of the entire filter or fracture fragments to the heart or lungs), perforation of the IVC, and difficulty removing the device. Some of these events led to adverse clinical outcomes. These types of events may be related to how long the filter has been implanted. Other known long-term risks associated with IVC filters include lower limb deep vein thrombosis and IVC occlusion. For patients with retrievable filters, some complications may be avoided if the filter can be removed once the risk of pulmonary embolism has subsided. The FDA is concerned that retrievable IVC filters, when placed for a short-term risk of pulmonary embolism, are not always removed once the risk subsides. Recommendations/Actions: The FDA recommends that implanting physicians and clinicians responsible for the ongoing care of patients with retrievable IVC filters consider removing the filter as soon as protection from pulmonary embolism is no longer needed. The FDA encourages all physicians involved in the treatment and follow-up of patients receiving IVC filters to consider the risks and benefits of filter removal for each patient. 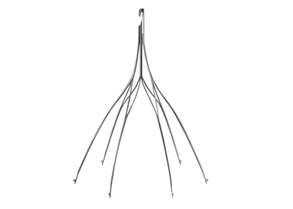 A patient should be referred for IVC filter removal when the risk/benefit profile favors removal and the procedure is feasible given the patient’s health status. Recommendations/Actions: FDA recommends that implanting physicians and clinicians responsible for the ongoing care of patients with retrievable IVC filters consider removing the filter as soon as protection from PE is no longer needed. Experienced IVC filter lawyers are currently reviewing potential claims across the country from patients and their family members. Plaintiffs may be entitled to compensation for medical expenses, lost income, lost future earning capacity, emotional pain and suffering, permanent disability, and (in the worst cases) funeral expenses. Mass Torts and Multi District Litigation: A mass tort is when a group of plaintiffs file their legal proceedings in a state court, while a multi district litigation (MDL) is held in a federal court. Class Action Lawsuit: In a class-action lawsuit, plaintiffs with similar injuries all combine into one single lawsuit. Individual lawsuits: In an individual lawsuit, the injured party sues the drug manufacturer directly both for the expenses that they have incurred as a result of their actions and for punitive damages. Our firms work on a contingency basis which means you will not be asked to pay any money out of pocket. This process will be very easy. Please feel free to answer all questions honestly as your information is confidential. In many cases, the problems require emergency treatment for the blood clot filter removal, which may result in open heart surgery in some cases. Through an IVC filter lawsuit, individuals who have experienced a fracture, failure or migration of their device may be able to obtain compensation from the manufacturer as a result of the allegedly negligent and defective design of these products. Follow us on social media to get the most up to date alerts. Be advised that nothing on this website is intended to constitute legal advice and that no attorney-client relationship exists as a result unless and until expressly agreed to by all parties in a written engagement letter specifying the identity of the client, the scope of the services to be provided and the fee arrangement. Past results afford no guarantee of future results and each case is different and is judged on its own merits. Some cases result in no recovery. The choice of a lawyer is an important decision and should not be based solely upon advertisements. Some matters may be referred to other lawyers. Neither the Supreme Court of Missouri nor the Missouri Bar reviews or approves certifying organizations or specialist designations. Not available in all states. Your access to and use of USDrugAlert.com is subject to additional Terms and Conditions. © 2012 USDrugAlert.com, all rights reserved. Sponsored by Goza | Honnold, L.L.C.